Skylar Prockner, 19, was sentenced to life imprisonment with no eligibility for parole for 10 years. Justice Jennifer Pritchard announced the outcome of his trial on Wednesday afternoon in Regina's Court of Queen's Bench. It's the first time Prockner, who was a youth at the time of the offence, can be named. 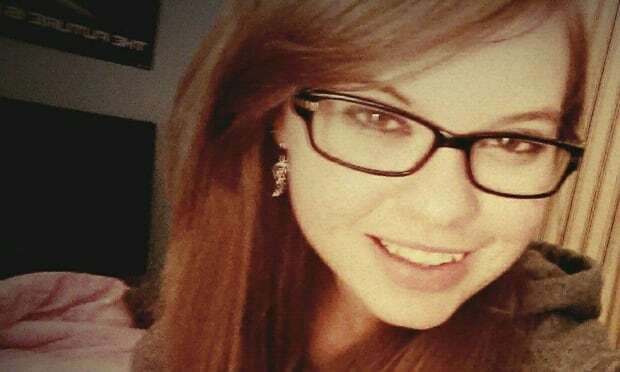 Prockner, who is Leflar's ex-boyfriend, pleaded guilty to first-degree murder in April 2016 after stabbing the teenage girl in her home 10 times a year earlier. "We felt that Mr. Prockner had committed the kind of crime that warrants an adult sentence and he's got one now. That's good news," said Crown prosecutor Chris White. "All along, Mr. Prockner hadn't expressed any remorse that I saw in my dealings with this case. "There is a difference between remorse and regret. I fully believe Mr. Prockner regrets what he did, not because of what he did but because of the situation he put himself in by doing it. " Prockner, who was 16 when he killed Leflar, would normally be handed a youth sentence, but exceptions are sometimes made in the case of a violent crime, such as murder. This stands if the killer is found morally culpable and a youth sentence is determined insufficient to hold the youth accountable. The judge said she took into account the way that Prockner killed Leflar and his perseverance, saying it was "a brutal and sustained attack." She called Prockner "the sole architect of Hannah's murder" and said he was fuelled by jealousy and anger. As the sentencing was read out, the killer was expressionless, looking up and listening to the judge. As previously revealed in court, Leflar and Prockner had been in a romantic relationship. Months after Leflar ended it, Prockner still couldn't move on. The boy secretly stalked Leflar online with a fake Facebook account. When he discovered she was in a new relationship, that was a tipping point for him. Prockner recruited a friend to bring a knife to school and asked him to convince Leflar to meet him alone at her house after school. On Jan. 12, 2015, the two boys staked out Leflar's house after school. Prockner then attacked Leflar in her home and stabbed her at least 10 times. Leflar was found dead by her stepfather on his bedroom floor when he returned home from work. Prockner later confessed to his brother. One Regina police officer who took photos in the then-16-year-old's room found many weapons, including knives, samurai swords, pellet guns, a hacksaw, a bow and arrow and a baseball bat with nails on the end. During Prockner's sentencing hearing in May, details emerged about his troubled childhood. The teen told a psychologist his mother tried to kill him as a child; how he discussed harming Leflar and potentially becoming a serial killer in online messages; and how he had threatened suicide if he were to receive an adult sentence. Prockner was sentenced to serve ten years beginning after his original arrest on Jan 13, 2015. Then he will be eligible for parole. "I'll be back to fight for that too," said Hannah's mother, Janet Leflar. Leflar's family had been pushing for an adult sentence so that Prockner 's identity would be released. "We're relieved that he got the adult sentence. We can finally say 'Skylar Prockner murdered my daughter.' But there are no winners today," Janet said. Prockner's friend involved in the killing has pleaded guilty to second-degree murder in Leflar's death. His sentencing will be determined in September. Well, you'll die of old age waiting for leaders of the white community to condemn this act of brutal violence. How could they condemn it after treating Omar Khadr as a hero and handing him $10 million? You mean, that would be. . . *gasp!*. . . hypocritical? By damn, you're right! No leader of the white community has ever been a hypocrite, and they ain't gonna start now! Sentenced as an adult but eligible for parole in 10 Years, backdated from 2015. I realize eligible is not the same as getting parole but I thought the tough on crime cons changed that to mean 25 years...?